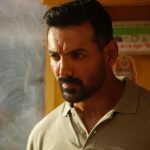 Almost 5 years after the Madras Cafe, Bollywood’s strongest actor John Abraham is once again back as an Indian Army Officer with the newly released Parmanu- The Story of Pokhran. Directed by Abhishek Sharma, the film is based on the series of underground nuclear tests carried out by India in 1988 at Indian Army’s test range. 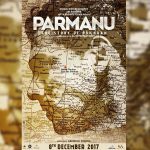 For its thrilling story-line and engaging screenplay, Parmanu is getting mostly positive reviews from the critics as well as the audience. Leading actors John Abraham, Diana Penty & Boman Irani have acted superbly well and are being appreciated by everyone for their flawless performances. 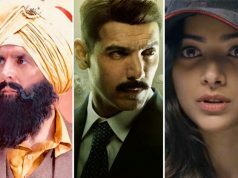 On Friday, this period action drama opened on a slow note in the morning but picked up well post noon shows due to positive word of mouth and did the business of 4.82 crores. On Saturday, as expected it took a fair growth and minted the amount of 7.64 crores. 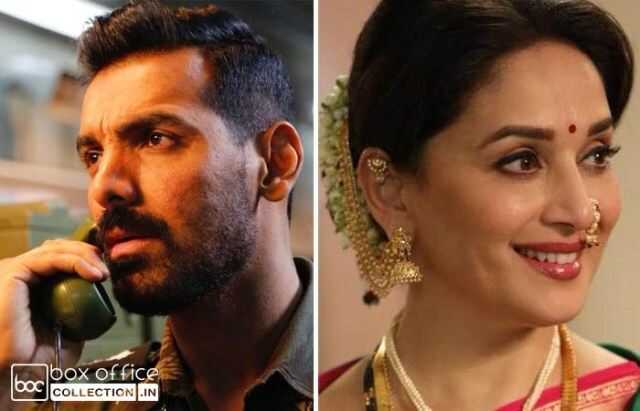 With this, the total collection of Parmanu after 2 days has become 12.46 crores. Another noticeable offering of this week is Bollywood actress Madhuri Dixit’s debut Marathi film Bucket List, which is also impressing viewers with its delightful story-line. 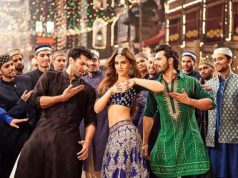 With high star power, it opened on a very good note and registered the opening business of 0.96 crore from 409 screens across the country. On the next day i.e. Saturday, Tejas Vijay Deoskar’s directorial witnessed a good jump and bagged the amount of 1.30 crore. After 2 days, the total collection of Bucket List has become 2.26 crores at the domestic box office.